Eat lunch and expand your horizons as 16th Street Studios invites four unique artists from the 16th Street Studios Juried Art Exhibit to talk about their work, passion, inspiration and process. Come for one or come for all. The dates are as follows. Each talk will give you 15 minutes to network and visit the exhibit and get settled (12:00 noon), a 30-minute presentation (12:15 - 12:45 p.m.) and a little time for questions and answers (12:45-1:00 p.m.). · March 29th Sarah Andersen, painter and resident artist of 16th Street Studios. You can purchase your lunch at Chez Bob’s, here in the Racine Business Center or bring a brown bag. The inaugural Juried Art Show runs through March 29, 2018. Gallery hours are 10:00 a.m. – 3:00 p.m. Tuesday and Thursday. 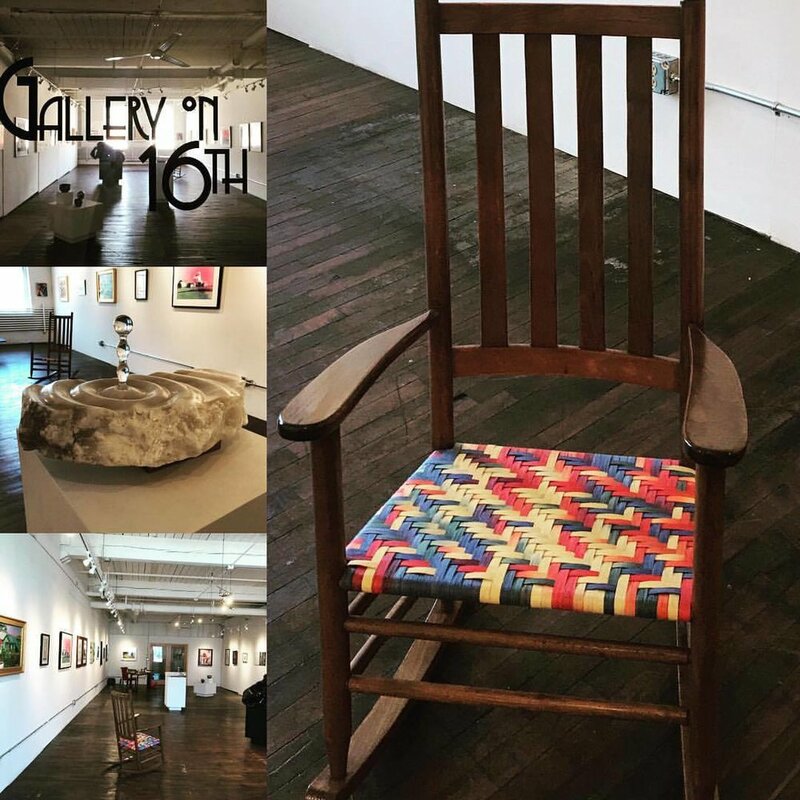 Also, coming up…The Juried Show Artist reception Thursday, March 15th from 4:00 – 8:00 p.m.
Stop by the Gallery on 16th for the opening reception of our Fall exhibit. As always, you can view and purchase great art from the artists of 16th Street Studios! The opening reception is on Thursday, September 21, 2017 from 4-7pm. Refreshments will be provided.